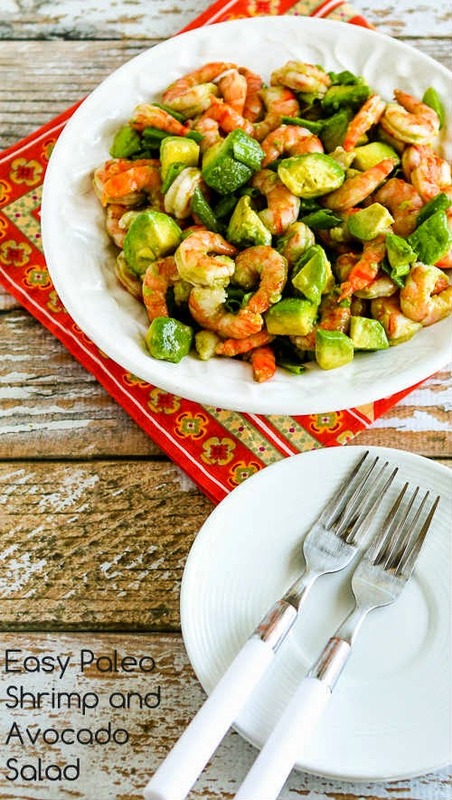 You can make this Easy Paleo Shrimp and Avocado Salad in minutes! Sometimes I'm a very bad blogger. I actually made this Easy Paleo Shrimp and Avocado Salad months ago when a couple of my nieces were doing Whole 30 and I was brainstorming recipe ideas that would be a treat for them. Then somehow it kept getting pushed to the end of the line for recipes to show up on the blog. Now I hope I'm not too late to be encouraging you to give it a try, because even though I might not eat a cold salad like this in the dead of winter, I'd happily eat this for a quick and delicious low-carb meal most any other time of year. Shrimp and avocados are two of my very favorite foods, and this combination with just a touch of cumin and lime flavor seemed like a perfect way to use them together.